Every May I emerge from winter ready to conquer the world and plant an enormous garden, which may have included 27 tomato plants. Every September I end up silently cursing my optimism. This year, I’ve come up with a better system to get things done while still keeping my sanity. Here’s how. 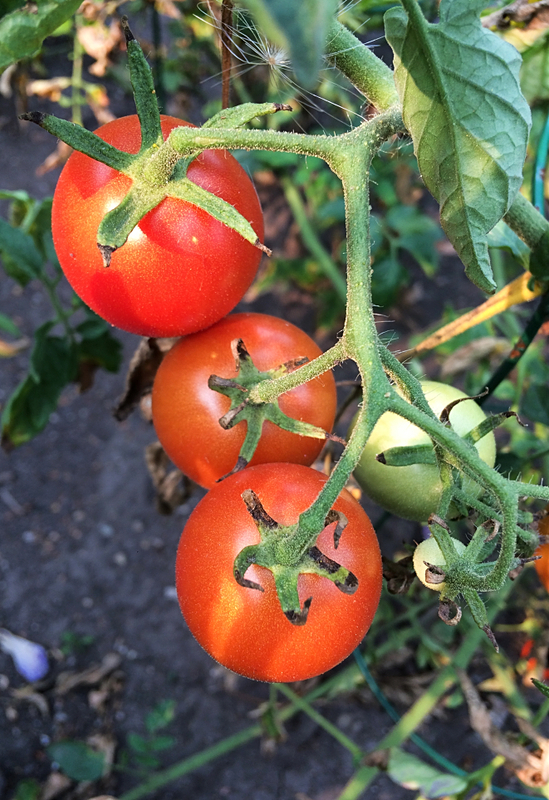 For those of you who live in warmer climates where all your tomatoes are vine ripened, you can skip this tip. Those of us in Saskatchewan and other USDA zone 2 or 3 areas have to pick most of our tomatoes green and ripen them indoors. 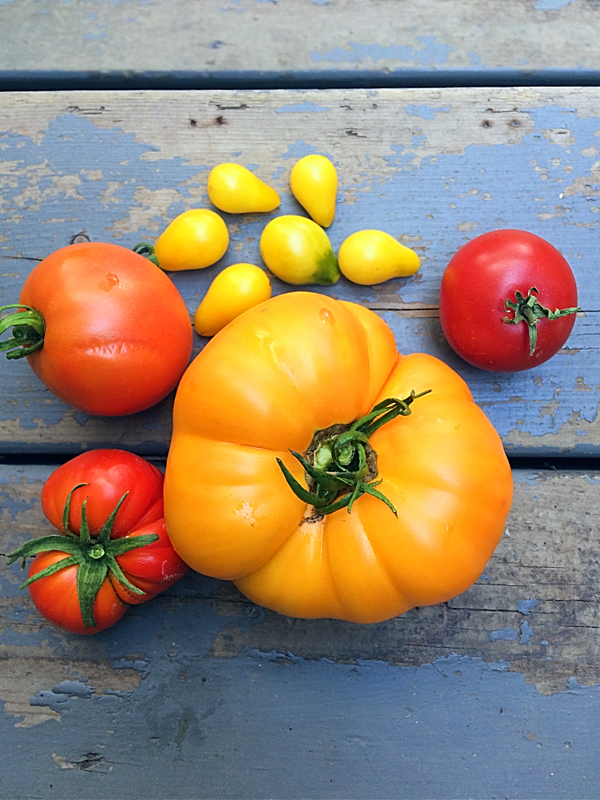 Set out four boxes and divide your tomatoes by colour and ripeness: green, yellow, orange, and red. This way you will be able to grab the ripest box and save precious time that you could be canning. 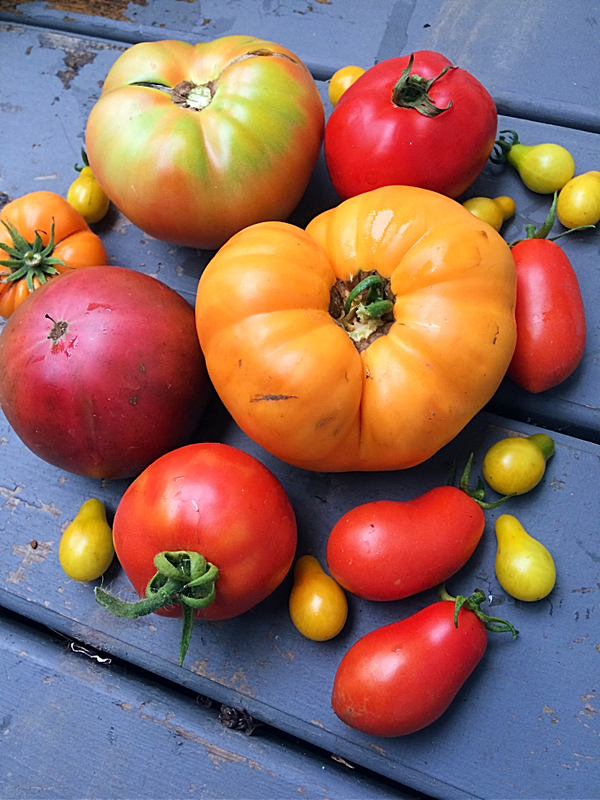 Check your tomatoes every day or two and transfer any outliers to the correct box. I cut my tomatoes in large chunks and squeeze out the seeds. You will not get every single seed out, so if you can’t stand any seeds in your tomato sauce, this is not the method for you. For roma tomatoes, I cut off the top, make a small slit, squeeze out the seeds, and put them into my slow cooker whole. Which brings me to my next point. . .
Related: Enjoy your tomatoes in Tomato Bacon Quiche or Red Relish. I don’t know about you, but I don’t have time to sit around a stove for 3 hours ensuring my sauce doesn’t burn. I also don’t have time to blanch and peel them. I’m happy to deal with the odd bit of tomato skin in my sauce. I cut up my tomatoes about 6 hours before I know I’ll have time to deal with them again. Throw in other vegetables you want in your sauce such as onions, garlic, zucchini, carrots or squash and walk away. Somewhere around hour 4-5 I come back and puree the sauce with a stick blender. This ensures that my super picky small child will actually eat the sauce I make. 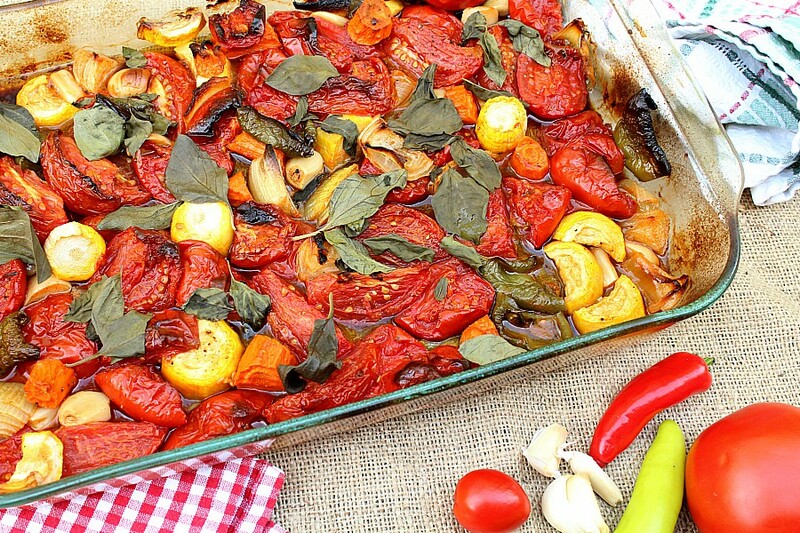 If a slow cooker isn’t your style, you can cut up all your veggies and roast them in the oven. Roasting adds an extra sweet caramelized flavour that I’m a huge fan of. Put all veggies in a large roasting pan and cook at 400 degrees for at least an hour, or until some of the tops turn a bit black. Let cool, add spices, puree, and either can or freeze in containers. We are short on freezer space here, so I try to can as many jars as I can. However, I don’t always have the time or energy, so I put my sauce in smaller containers in the freezer and call it a day. If you’re short on space, put your sauce in good quality freezer bags and freeze them flat for easier storage. 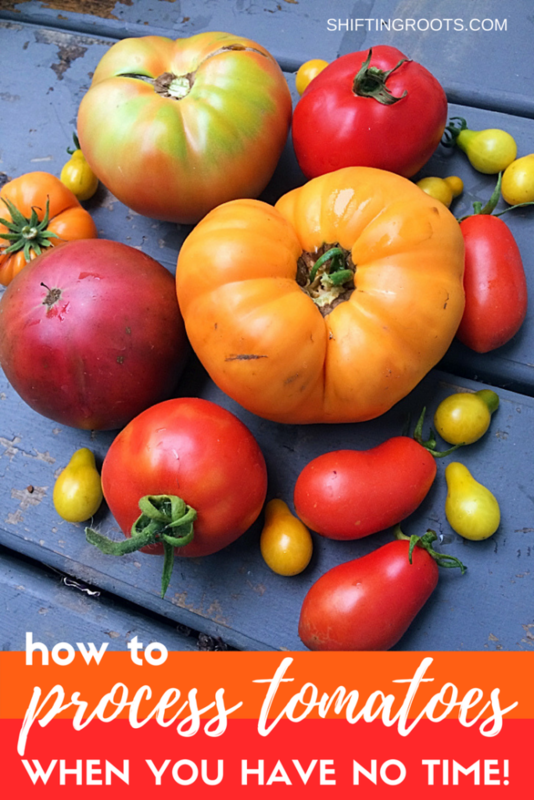 Subscribe and get your free 10 page guide to Tomatoes. 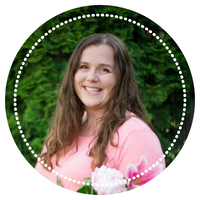 I'll show you how to start them from seed, the best care practices, and how to harvest them. Plus, you'll get 4 tomato recipes delivered straight to your inbox. Tomato season unfortunately seems to co-incide with back-to-school season, which in our house is a recipe for beautiful tomatoes going to waste. If you find yourself with almost no time to deal, chop tomatoes in quarters or eights and freeze in plastic bags. It’s not ideal, but you can always thaw frozen tomatoes and deal with them later. 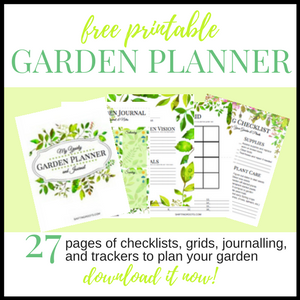 Has trying to harvest, process, and eat your garden produce got you down? 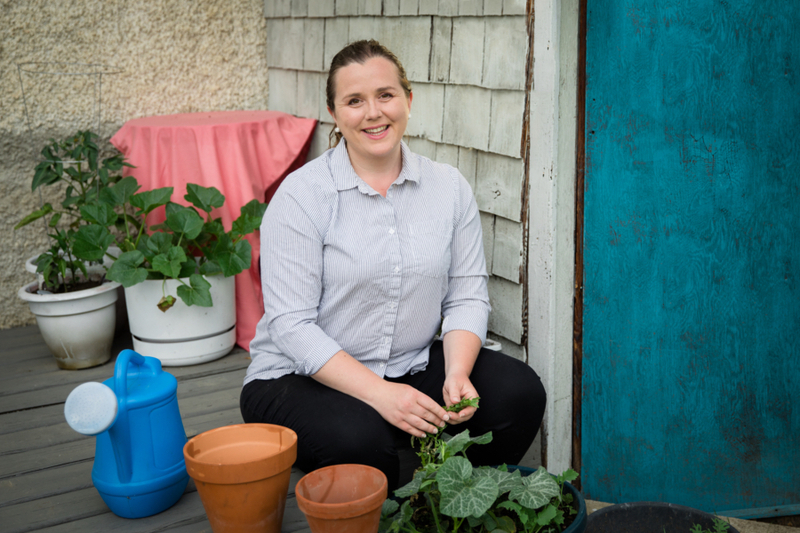 Click here to download my free guide on what to do with the vegetables you harvest. 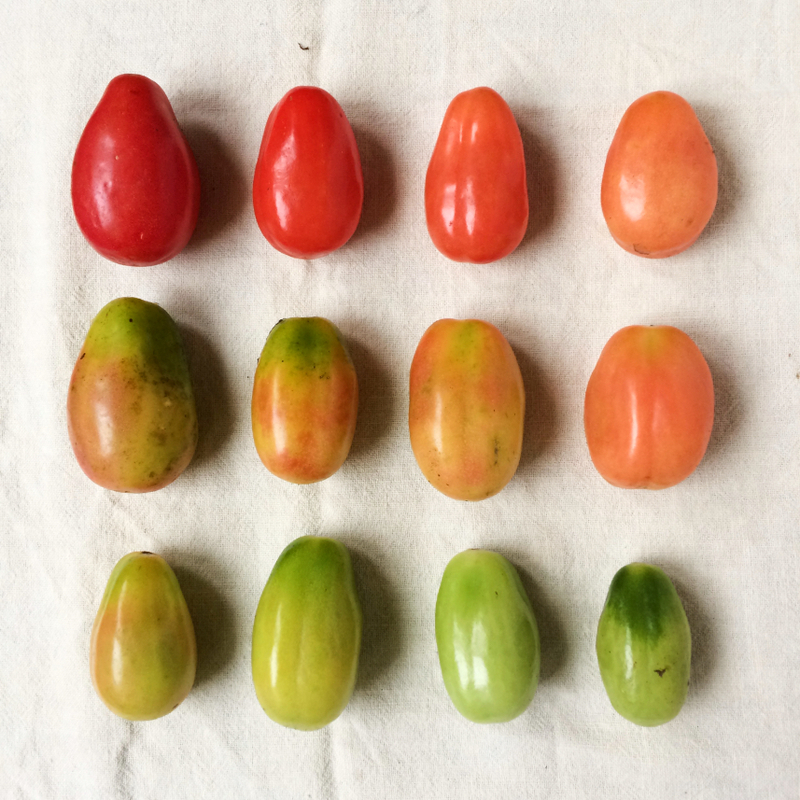 How do you process your tomatoes? Any tips or tricks to add? Let me know in the comments what your favourite method is. July is a busy month for the Saskatchewan berry picker. Strawberries start off the month, followed by saskatoon berries, raspberries, and then finally, sour cherries. Of the four, sour cherries are my favourite. Yes, they are a lot of work, but well worth the effort. We love them so much in our house that my son and I polished off 4 jars of sour cherry jam within one month. It was our whole year’s supply!! Processing sour cherries is the kind of job that makes a beginner nervous. Sour cherry farms are not as popular as other fruits (at least in our area) so it can be daunting to find a place to pick. The thought of pitting the cherries is scary. Is the cost of a cherry pitter worth it? How do I pit the cherries without one? What can I make with sour cherries? It’s the most wonderful time of the year. 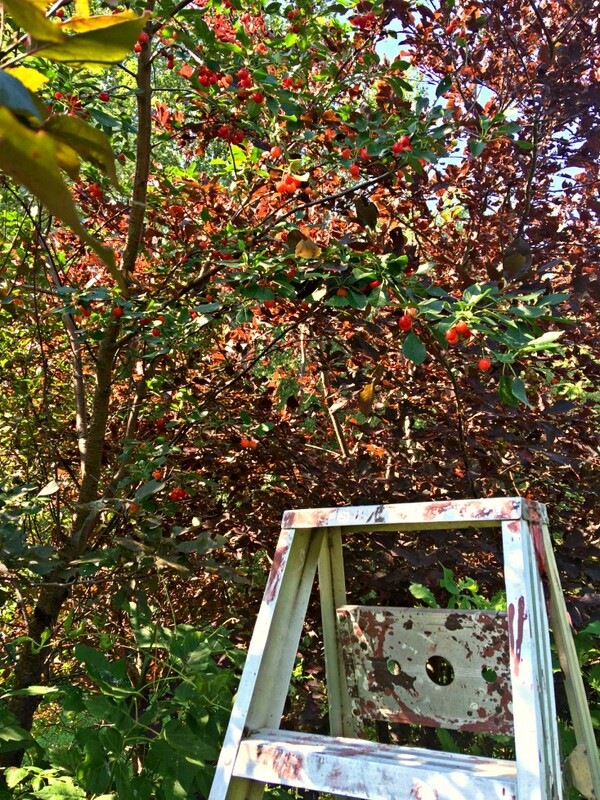 . . berry picking season!! 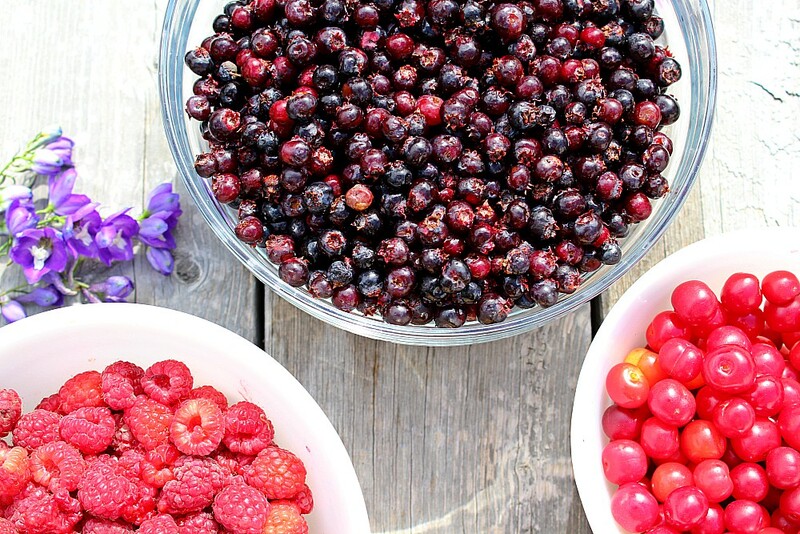 Saskatoon berries, sour cherries, strawberries, and raspberries are all in season these next few weeks. Before you grab your straw hat and pail (or walk down to the fruit truck, we won’t judge) here’s some little tips and tricks to make the whole process smoother. Hot July days bring loads of delicious raspberries to pick and eat. Now that you’ve cleaned and frozen them, what do you do? 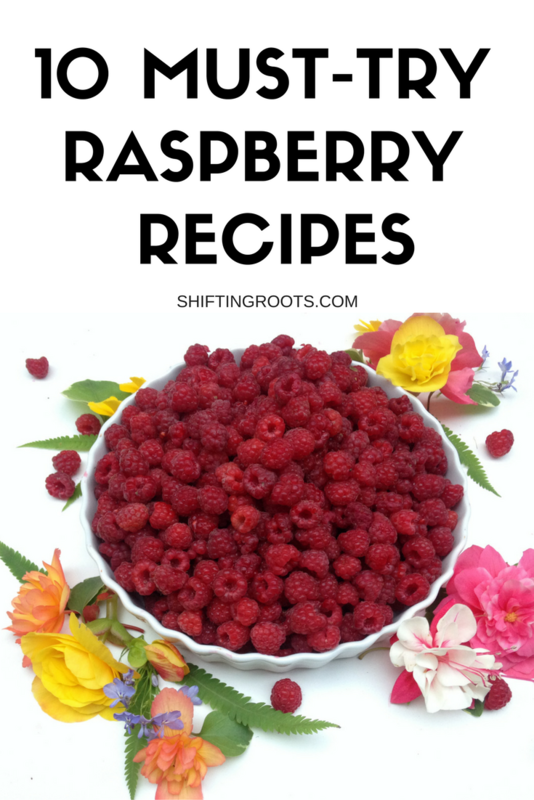 Make lots of delicious raspberry baking! Here’s 10 recipes you’ve got to try. This post contains affiliate links. If you purchase something from them I earn a small commission at no extra cost to you. Thanks for supporting this site! Raspberries go bad quickly, so plan to process them the day you pick them. Tupperware’s Fridge Smart containers can buy you a couple of extra days. When canning or making jam, make sure you have all your equipment ready to go. There’s nothing worse than your jam boiling over because you were in the basement looking for extra lids. Wipe up any spills immediately. Hot summer days=fruit flies. The order of what to do when making raspberry jam can be confusing. 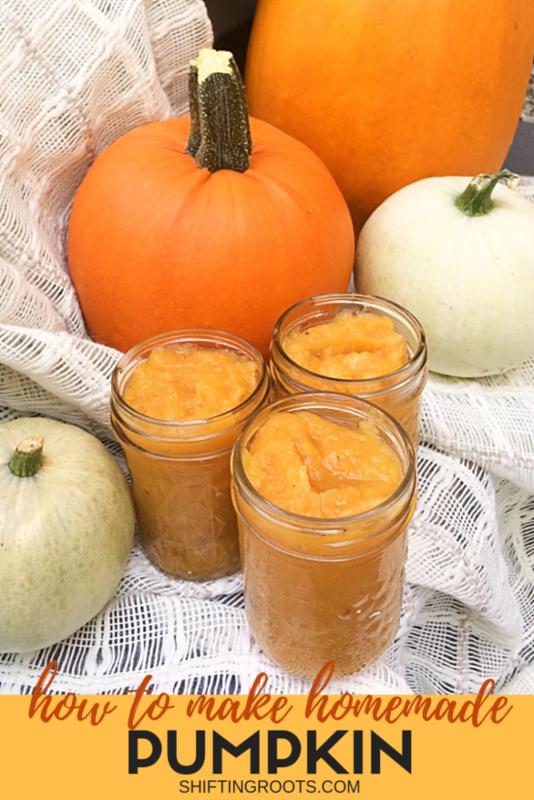 Heat the pot of water to boil, pop your jars in the oven to sterilize, soften your lids, then start your jam. Boil your jam in a container that holds twice as much as the amount of jam you want to make. Smaller containers will boil over. 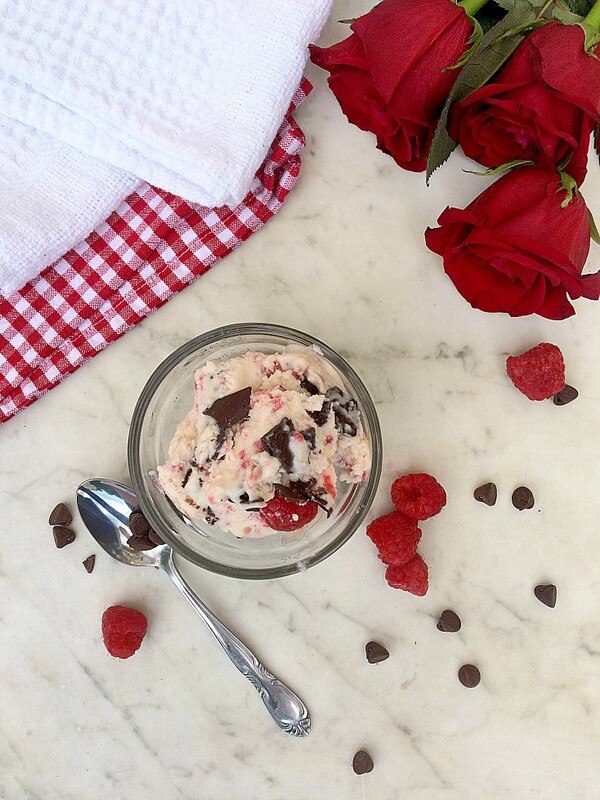 What’s your favourite way to use your raspberries? Let me know in the comments!